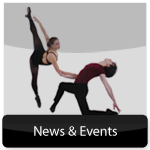 Contemporary Intensive fuses styles, from modern, jazz and lyrical with a wide expression of movement through the creative process and experience. Classes focus on a foundation of technical understanding as well as providing space for creative and choreographic investigation and exploration. ​In addition, we will introduce the students to famous styles and choreographers – such as Bob Fosse, Agnes de Mille, Christopher Wheeldon, etc. 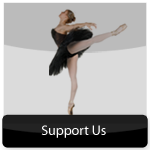 These classes are designed to enhance the diversity of a dancer’s education in the arts. 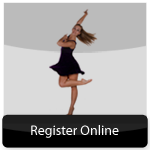 These intensives compliment the technique classes of ballet, jazz and modern. Ages 9-11 – Any color leotard, Black leggings, Half-ballet shoe. T-shirts are not allowed over leotards. Hair in ponytail. Ages 12 & up – Any color leotard, Black leggings, Half-ballet shoe. Hair in ponytail.If shirt is desired over leotard, “Pop Top” shirt is available at The Dancer’s Boutique in any color. No other type shirt will be allowed! Hair in ponytail. Males – dark pants, dark shorts with black biker shorts, any color T-shirt – no baggy shirts. Barefoot.